New York City offers two types of gifted and talented programs for children in kindergarten through 5th grade. 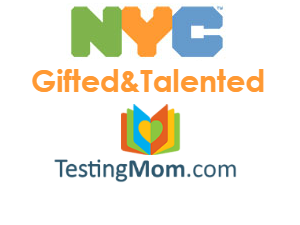 The NYC Gifted and Talented Program is designed to foster the needs of exceptional students, identified either by their results on the NYC Gifted and Talented Test (for students entering kindergarten through third grade) or based on the student’s New York State test scores (for students entering fourth or fifth grade). The material on this page will cover the program itself and admissions into the program. You can view more about individual schools on our page for Gifted and Talented Schools in NYC. What is the Gifted and Talented Program in NYC? Since it is up to the school to come up with its own curriculum and offerings, they may choose a school-wide focus on a certain discipline, like science, technology, or the arts. Some schools may also offer certain classes not found in others, like chess, or violin lessons. If your child is eligible to apply to multiple schools with a G&T program, you should go to the school and ask about their curriculum. For more details about schools, visit our NYC Gifted and Talented Schools page. 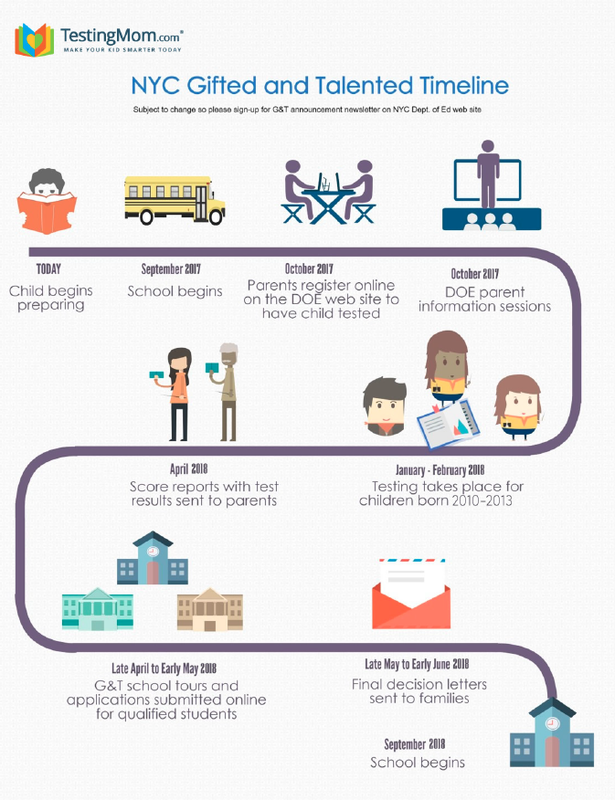 The admissions process for the NYC has many deadlines, and missing any of them could severely impact your child’s education. Admissions are based on test scores – kindergarten through third grade are based on the NYC Gifted and Talented Test and fourth and fifth grade are based on state tests. 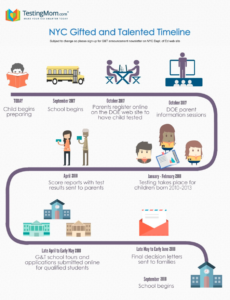 October: Register online with the DOE to select test location and time. There is less to do for admissions into the fourth and fifth grade G&T programs. You need to submit a request for placement, generally sometime in August, either online or by mail. Not all schools accept applicants for the 4th and 5th grade G&T programs! Additionally, only schools that are K-6 or K-8 accept applications for placement for 5th graders. It’s easier to get admitted into the NYC Gifted and Talented Program if your child is in a lower grade, with the offer rate for kindergarten being more than double that of third grade. Therefore, if you are unsure if your child should apply to the program, you are better off applying, rather than waiting until the following school year to apply. You can always drop out of the G&T program if you find that it isn’t the right fit for your child, but in practice very few parents do this. What does applicant per seat mean? There is G&T program for 4th and 5th? How does it work? Can 3rd grader apply for 4th grade G&T? How many schools have 4th and 5th program? There currently is no entry point for 4th and 5th grade G&T classes. The existing 3rd graders go into the 4th grade – there isn’t a set process to let new kids into the program for 4th and 5th grade. What tips do you have for the mother of a 1y/o to help find the best school for our child and then increase her chances for admission? Starting early! My son is currently in 1st grade and i want to buy some of the prep workbooks you sell online. Since I am new to the city and know nothing about G&T tests, should I buy level 7 or level 8 workbooks? Thank you in advance! How can i view the schools that utilize the G&T program specifically in the Bronx?